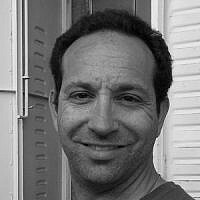 Gidon Ben-Zvi, former Jerusalem Correspondent for the Algemeiner newspaper, is an accomplished writer who left behind Hollywood starlight for Jerusalem stone in 2009. After serving in an Israel Defense Forces infantry unit from 1994-1997, Ben-Zvi returned to the United States before settling in Israel, where he and his wife are raising their four children to speak fluent English – with an Israeli accent. Ben-Zvi's work has appeared in The Jerusalem Post, The Times of Israel, the Algemeiner, American Thinker, the Jewish Journal, Israel Hayom, and United with Israel. Ben-Zvi blogs at Jerusalem State of Mind (jsmstateofmind.com).